1974 was the 300th anniversary of the coronation of Chhatrapati Shivaji Maharaj. MAHARAJA SHIVACHHATRAPATI PRATISHTHAN (TRUST) planned a grand celebration to mark this historical event. This magnificent celebration was in the form of multi-faceted exhibition on the open ground of Shivaji Park in Mumbai. The ambitious project was called ‘Shivsrushti’ the world of Shivaji Maharaj. The popular element of Shivsrushti was a 22 min long musical re-enactment of the Coronation of Chhatrapati Shivaji Maharaj. Almost 100 artists performed this pre-recorded historical musical drama. Often described as the greatest musical extravaganza ever produced in India, Raja Shiv Chhatrapati (Janata Raja) is a critically acclaimed musical opera based on the life of Chhatrapati Shivaji Maharaj. It is enacted with clocklike precision against the background of splendid scenography & digitally recorded 4 track sound. Since 1985, Raja Shiv Chhatrapati (Janata Raja) has consistently showcased the rich cultural heritage of Maharashtra. In the last 32 years, it has clocked more than 1000 shows. 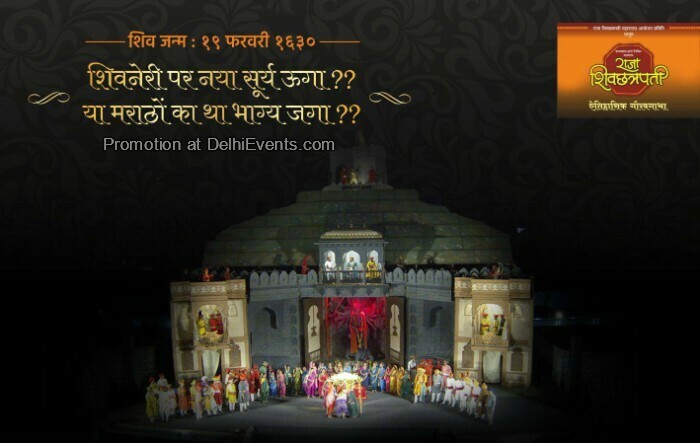 The opera is presented in two languages-Marathi & Hindi. Together, both the versions have been appreciated by more than one crore people! please give me one ticket. Please give me 4 tickets.plz.plz.